A nice Watch Box that can hold up to 12 mens watches. I was pleasantly surprised at how nice this box is. 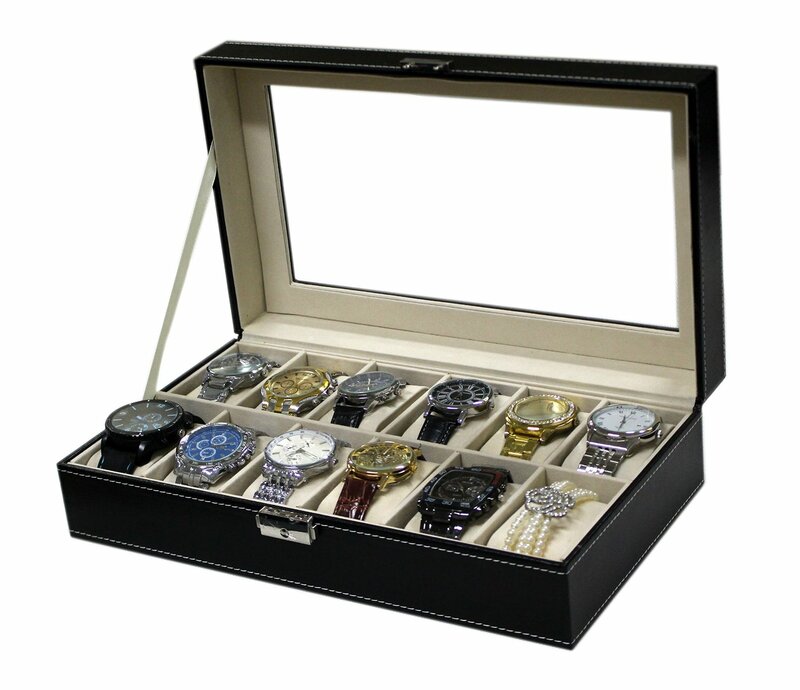 A perfect gift for a man who has a lot of watches and wants to keep them nice and organized. My son has a lot of watches and he put them in the box and they look so nice displayed neatly. The top is glass so you can see through. Solid wood construction, Lock and key for added security. He loves it !! He kept his watches in his draw before receiving this box. He has it on his dresser and they will stay much cleaner and will be safe for them falling or getting damaged. I received this Sodynee watch box complimentary or discounted in exchange for my honest and unbiased opinion. All words and opinions are my own.